The clinic will be managed on a first-come, first-served basis where patients are triaged and treated according to their needs. DIRECT Dental will offer services such as operative restorations, extractions, initiation of endodontic treatment for pain relief (open and drains), and cleanings. 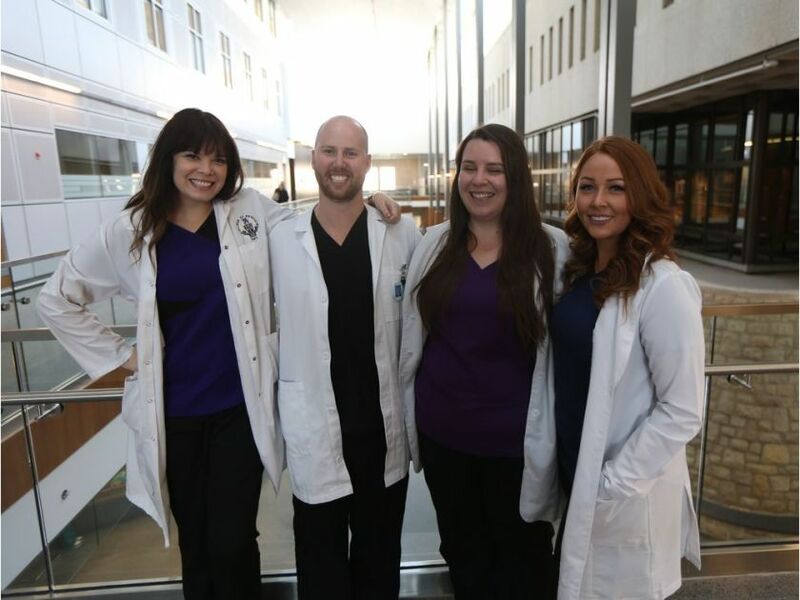 “We want to be able to address the barriers that [patients] might have to oral health and connect them to different resources so we look over the whole person, not just their teeth,” said fourth-year student Kristen Kezar in a recent interview with the Star Phoenix. DIRECT Dental, will operate out of the existing Saskatoon West Dental Clinic and is the result of more than a year of planning by a group of senior University of Saskatchewan College of Dentistry students. It’s a student initiative supported by the school. The clinic will be open for 14 days over the course of this academic year. Treatments will be delivered by the most senior students who are closest to graduation, with the more junior students in support roles. Volunteers from the dental community, including dentists, dental assistants and dental hygienists, will oversee their work. A more permanent free dental clinic run by students is something that’s been talked about among the college’s students, but Kezar, Christopher Bertsch, Mary Tait and Christy MacPherson came together to steer it to fruition. It comes at no cost to patients and no appointments are necessary, similar to a walk-in clinic. Kezar said the senior students will provide a diagnosis and discuss treatment options, but if it’s beyond what the clinic can provide, they’ll provide referrals. She said they will lay out options for the patients and the patients will then decide where the referrals will be made to. The clinic is expected to open Oct. 20, with plans for a ribbon-cutting ceremony. Read more at the Saskatoon Star Phoenix or visit directdentalclinic.ca/. For volunteer information or to inquire about sponsorship opportunities, please email directdentalclinic@gmail.com.